2. 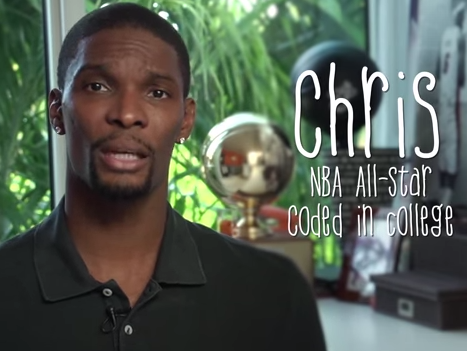 There are growing opportunities for careers in coding. 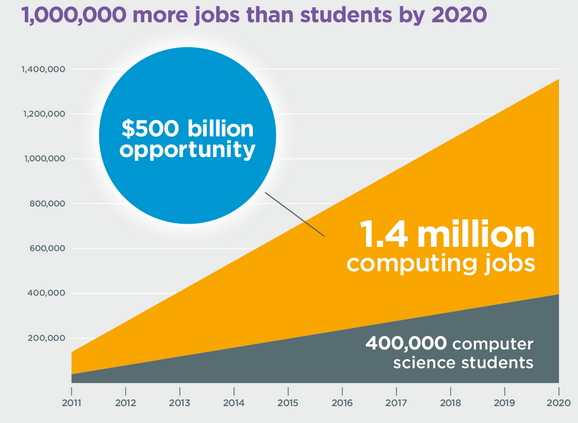 It is predicted that there will be 1,000,000 more computing jobs than computer science students by 2020. See article. People treat me like I have superpowers. It’s not that complicated. Everyone’s always on computers and iPhones, now you can understand how they actually work. You don’t have to ask someone else. Everyone doesn’t have to become a programmer but they should have a basic understanding of the process. 4. Learning to code is learning to think in new ways. As our culture evolves, schools and teachers must be prepared to support new types of thinking and learning. 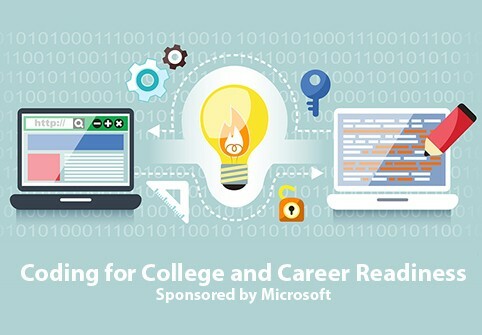 Coding and Computer Science can support the next generation of learners. Coding for all Means Coding for Girls, too! 7. Libraries are leading the way in many communities. Libraries everywhere are repositioning to become hotbeds of innovative thinking and learning. Libraries all over the US hosted “Hour of Code” workshops, and most likely won’t stop offering this type of education. Here’s a couple links to innovative libraries in the Denver area, but be sure to check out what your local library is doing! 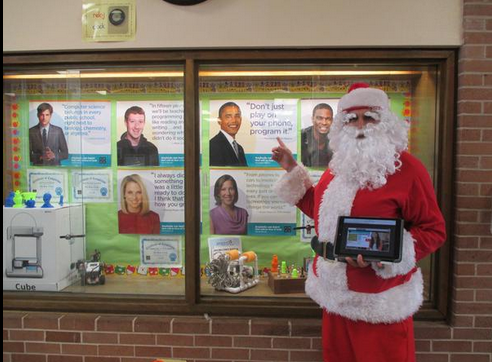 Denver Public Library: Hour of Code at the Library! 8. Wooden blocks, robots, and code are friends. 9. Kindergarteners can do it. Check out this Edutopia article by Sam Patterson with fantastic considerations for introducing coding to very young children. 10. Parents are getting involved. Check out this Edutopia article for resources. Introducing computer programming to your kids can be a challenge, especially for those who aren’t familiar with the nuances of code. Fortunately, in the last few years, a number of apps, software, and guides have been produced that make the often-complex subject of computer coding easy to grasp for young learners. 15. Once you get started, one hour of code is not nearly enough! Computer Science Education Week might be over, but that doesn’t mean we should stop discussing, encouraging, teaching, and supporting youth engagement in computer programming. What will you do to get involved?